Hi guys! I’m here to talk about a topic that’s not exactly cosplay but its definitely something NO cosplayer should do without =) And it is… Make Up! Why are my Video thumbs always SO UGLY T_T?! I admit, even though I’m vain, I am not exactly a Makeup guru. Neither do I think my make up skills are fantastic so don’t expect too much from me. But what I am with this post, is to share what I have observed over my years of cosplays. 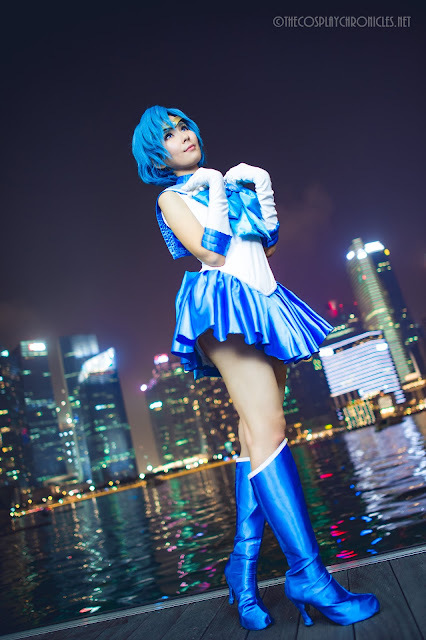 Introduction to Make Up that works best for cosplay and photographs. It is essential to remember that makeup is not meant to be good for the skin. No matter how organic and miraculous the manufacturer claim they are, it is something foreign to the body. So never apply foundation directly to the skin without at least a moisturiser to bar them off. Moisturisers are also good for hydrating the skin, giving it the moisture boost it needs before cosplay. The key is to find a moisturiser that suits your skin. If you can afford, a make up base would be a good inclusion. The base can help to provide the makeup with a smooth canvas. The most important thing in makeup. Especially important for trying to pass off as perfect 2D character with no flaws on their skin. Foundation comes in a few format, liquid, cream and powder. Liquid foundation : Adheres nicer to skin and has a nice dewy effect but can be tricky to apply. It also requires you to purchase another powder based product (loose powder) to add on top of the liquid as a form of sealant. Cream foundation: has better coverage but can be thick and harder to apply. Power foundations: are the easiest to apply but does not have very good concealing power. Suitable for people with oily skin. A great alternative to the 3 types of foundation above is 2-way foundations. They come in the format of pressed powder and some have pretty good concealing power. Best part about them is their ease of use. Personally, I have been a fan of 2-way cakes until the recent change in my skin texture. All in all, finding the right foundation is a tricky business but it all boils down to your personal needs. Do you have dry or oily skin? Do you need little coverage or a lot? These are the questions you should ask yourself before your purchase. I am no Make Up guru so I suggest you do your own research about it. Also important is to get your colour tones right. Asians usually have olive/yellow undertones. It can get really silly and embarrassing when you use the wrong colour tones (pink undertone for asian skin looks weird). But that said, some cosplayers like to get foundations that are lighter than their actual skin tone to fake a lighter, more camera friendly skin colour. Which is totally fine in the context of cosplay, just that you probably won't have the chance to use that foundation outside of the hobby. Also important would be concealer. Concealer is a type of makeup used to hide imperfections on the skin.And as we all know, nobody has perfect skin especially not cosplayers who are usually up the whole night slogging over their costumes. Find the right concealer can also be a tacky problem so make sure you do your research before your purchase. I personally prefer liquid eyeliner because the colours are more lasting and intense. As I have deep cut eyelids, pencil liners can’t even last me 5minutes before they start smudging. So even though liquid liners are more difficult to use, it is still my liner of choice. If pencil eyeliner works for you, just go a head and use them! Black is my recommended colour because cosplay makeup is all about drama on the eyes. Brown just won’t cut it for my Asian features. Many cosplayers try to get away with just eyeliner but it usually gives an overly harsh effect. Eye shadow can help to give the eyes a little more contour and depth and soften the look. It is also the most interesting part of make up! As 2d characters usually look like they have no make up on, brown or neutral shaded eye shadows are the most useful colours for cosplays. They are also the easiest to apply imho. If possible, get 2 - 3 of the brown/ neutral shade so you can play with gradients and shadows. If you don't wear makeup regularly, it might be good to just get/buy sample sized products. Especially with pigments, you can go really far with a tiny amount. These are my personal collection by the way. And I’m sure they have grown…. I found out the hard way this is one product you can’t skimp. Forget the drugstore stuff or for Singaporeans, forget that glue from Chameleon/Aries/Sinma. As I have mentioned in the video, Anime characters usually don't look like they have any lipstick on, so that is one part you can skip, depending on your character. 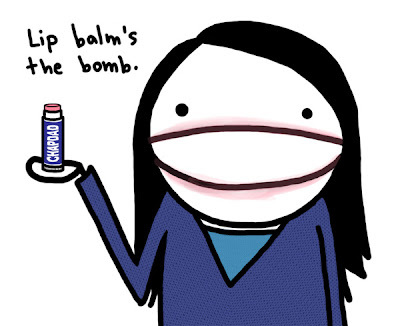 But remember to at least invest in a lip balm. As Cosplay will require you to take a lot of photos, it is essential to make sure your lips are not dry or chapped. A cheap alternative is Vaseline. This is an optional product but highly recommended if you are doing feminine characters. Personally I can't live without blushers or bronzer but if you're one of those lucky people who doesn't look washed-out without them, then by all means skip it. All in all, Cosplay makeup is all about drama on the eyes. And be prepared to go slightly over the top with the makeup because when you have crazy wigs and big costumes they will definitely overshadow your face. 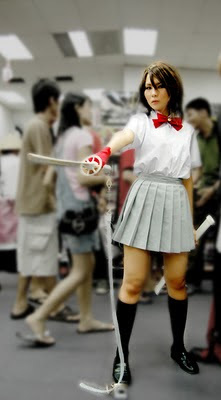 But you can’t allow that to happen because the ironic fact about Cosplay is, face still matters. To draw an example, this is my Idamaria cosplay makeup, in and out of costume. See how subdued my makeup look with costume and how it is totally “in-your-face” with normal wear? That is the kind of effect we’re looking for, something that works well for the camera. Hope you guys liked this entry. I wasn’t planning on talking so much and please take my opinion with a pinch of salt. Once again, I declare that I am no makeup guru so don’t bash me for giving any wrong information. I tried to be as clear and honest as I could =) Comment and let me know if you’d like makeup/ skincare related entries in the future ^_^! Just additional tips. If you are doing photography, and if you are using products sunscreen, apply HD translucent powder over it. Products with sunscreen tend to have a shiny glare on photos, the HD powder will lessen that effect. The pix I took for my WWCPJ was about makeup as well, haha! that was really very helpful!i have subscibed to your channel and your vids are the bestso far!i live in greece (where most ppl don't even know what cosplay is) and i really needed such a tutorial!~ many many thanks! 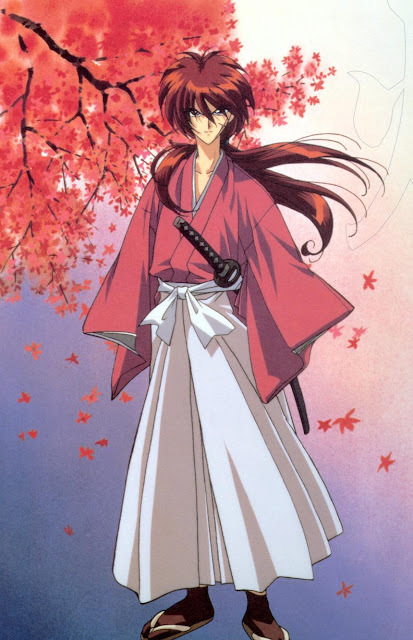 I wanna look perfect in my cosplay this year~! You make some of the best tutorials ^^ and it's charming how you practice your English! Kai Kuchiki: I bought mine from Sasa.... maybe try looking at your local malls? Snowflakes27: Glad you enjoyed the tips and thanks for subbing ^^! Jac: Thanks for all your support babe =) Practise my english ? do you mind going over more about eyelashes lol. i've never used them before but i want to try. theres so many different styles i dont know where to start. can you show the different effect for different styles? "See how subdued my makeup look with costume and how it is totally “in-your-face” with normal wear"
lol the way you said it, "in ur face" really made me laugh.. but wow! you're so right! i nv realised that..
Whee I love this tutorial. I totally agree that moisturizer is needed! I just think putting stuff on my face will have very big effects on my face as I am older x.x So i try to look out for products that would be better used. 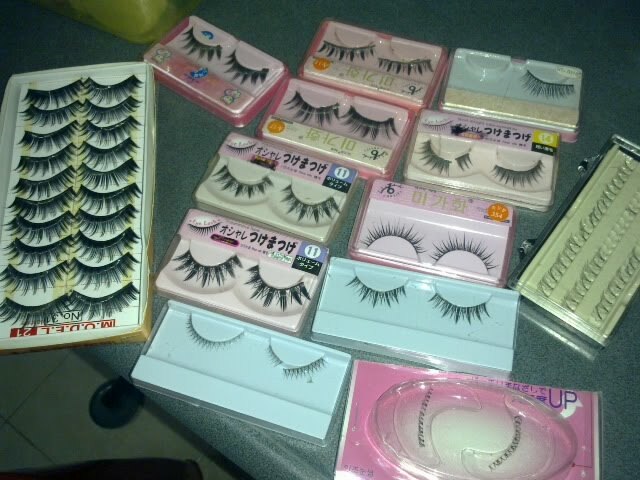 what is some of the brands of the fake eyelashes??? RinLen~Y: There are a lot of brands o_o it all depends on your budget scale ^^ Try checking out ur local drugstore? This page been featured on our Facebook page and on air, for the radio show Legend of Cosplay, when we talked about Cosplay Makeup! Make-up like a makeup artist! Thanks the great tips! Keep it up. Thank you for the links, it's very interesting. I will definitely come to the site.